How Much Fruit Should You Eat During Pregnancy? The Nutrition and Dietetics Journal says that only half the pregnant women eat the right amount of fresh fruits required for a healthy pregnancy (1). Fruits should be a part of your everyday diet. And, eating healthy during pregnancy ensures long-term health of the mother and the baby. 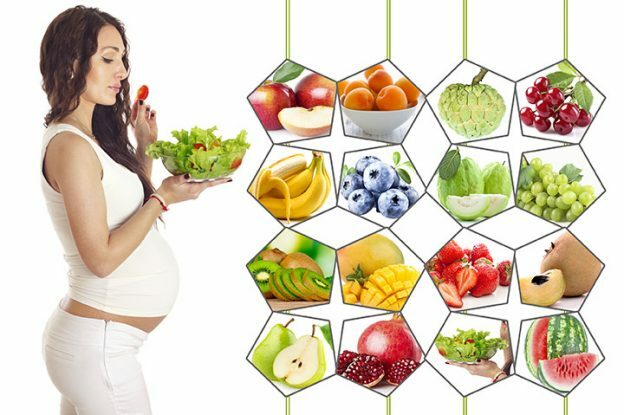 MomJunction tells you about all the fruits you can and cannot eat during pregnancy. Why Are Fruits Important During Pregnancy? Fruits are a major source of essential nutrients and play an important role in a healthy pregnancy. Vitamin C helps repair body tissues, heals wounds and cuts, maintains the health of teeth and gums, and is essential for strong immunity. Potassium helps in maintaining blood pressure. Dietary fiber promotes digestion, reduces cholesterol levels, lowers the risk of heart illnesses, and prevents constipation and the formation of hemorrhoids. Folate helps in forming red blood cells and reduces the risk of spina bifida, neural tube defects, and anencephaly in babies. Calcium contributes to the development of bones and teeth in babies. The high level of antioxidants in fruits help maintain the immunity and blood circulation throughout the body. Most fruits are low in sodium, fat, calories, and have zero cholesterol, making them the perfect food to eat (2). With the above benefits, it becomes imperative to know which fruits offer these benefits. 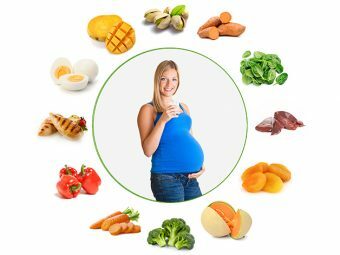 Below we have listed the fruits to be eaten during pregnancy and their benefits for you and the baby. Apricots are a type of drupe or stone fruits, where both the kernel and the flesh are edible. Apricots are high in fiber and excellent for facilitating bowel movement in pregnant women as during pregnancy the GI tract functioning becomes sluggish. Apricots contain vitamin A, C, E, beta carotene, phosphorus, silicon, calcium, iron, and potassium. Also, they are a good source of micronutrients such as copper, magnesium, and manganese. These minerals form an essential component of some enzymes and are vital for sustaining the metabolic functioning of the body. They come loaded with all the super nutrients that assist in the healthy development of your baby. They are a rich source of iron, which prevents anemia. You can have up to two to four apricots a day (3). Cherries are a great source of vitamin C (4). During pregnancy, you will require sufficient amounts of vitamin C to fight infections such as common cold and rashes. Eating cherries also helps in efficient blood supply to the placenta and the baby. Cherries come packed with melatonin, a powerful antioxidant hormone that helps in stimulating the cell growth while your belly stretches during pregnancy (5). Experts say that melatonin also helps you to get a good night sleep with its potent anti-stress factor (6). They contain anthocyanins which are potent antioxidants that reduce inflammation and swelling in the body. 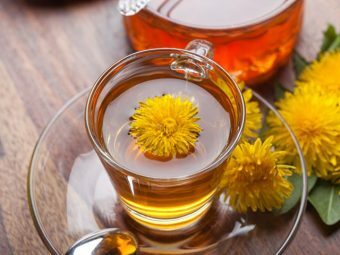 They are useful in fighting against inflammatory health conditions. Choose deep red fully ripe cherries as they are not sour and reduce the risk of gastric reflux associated with acidic fruits. Grapes can be a healthy snacking option during pregnancy. They are full of vital nutrients such as vitamins, antioxidants, fiber, organic acids, pectin, folic acids, and more than that, aid the biological changes during pregnancy. They contain antioxidants including flavonol, linalool, anthocyanins, tannin, and geraniol, which boost immunity and prevent infections (7). The polyphenols in grapes strengthen the heart’s functioning. Choose purple and red grapes which have higher antioxidant content and a strong potential to fight reactive oxygen species which are essentially called free radicals that can increase your risk of cancer. Dark colored grapes have significant anti-aging properties and make your skin look younger. The good old guava is a tropical fruit and is highly nutritious. Do not be surprised if you have a strong craving, as it is quite common among pregnant women. Guava helps regulate the immune system and blood pressure during pregnancy. It is rich in vitamin C, E, iso-flavonoids, carotenoids, and polyphenols (8). These nutrients work as muscle and nerve relaxants, reduce constipation, and aid digestion. The folic acid in the fruit helps prevent neural tube defects. Eating a guava is better than drinking a glass of orange juice if you look at its vitamin C content which is highly impressive. A guava has four times the vitamin C found in an orange. So, if you’re aiming at having healthy gums that don’t bleed, eat guavas regularly. The high vitamin C content makes it an ideal fruit to fight off infections such as common cold, UTIs, and overall, gives a boost to your immunity levels. Kiwis are nutrient-dense fruits, and both their skin and seeds are edible. They are known to have healing effects on the human respiratory system. You are less likely to be affected by a cough, cold, or wheezing if you eat kiwis every day. Kiwis are rich in vitamins and minerals. They are high in folic acid, vitamin B3, C, K, copper, and magnesium. They are a powerhouse of antioxidants such as lutein and zeaxanthin. The fruit reduces blood clotting because of its rich phosphorus content. Kiwi also felicitates natural absorption of iron (9). Apples are full of fiber and antioxidants, and are beneficial to both the mother and baby. They detoxify the body from lead and mercury (10). They enhance the immunity and strength of your baby. There is a reduced risk of wheezing, asthma, and eczema in your child in the later stages of life (11). Apples are rich in insoluble fibers and aid digestion, improve metabolism, and decrease intestinal disorders. Their high phenolic content contributes towards strengthening cardiovascular health and prevents blood vessels from developing clots. The naturally sweet mangoes make a delicious alternative for your sugary treat. They contain heavy amounts of vitamin C that regulates digestion, reduces constipation, and relieves you of minor infections. They are rich in fiber, antioxidants, and energy. They are high in calories and make a good snack for your third trimester when you require more calories (12). Mangoes are a wonderful source of beta carotene and are beneficial for maintaining good hair and skin. Pears, the close cousin of apples, have a mild taste, sweetness, and a pleasant aroma. Pears contain high amounts of folic acid, ideal for would-be-moms, and play a key role in preventing neural tube defects in babies. They are a good source of fiber that fights constipation. The potassium content aids heart functioning in both the mother-to-be and the baby and stimulates cell regeneration (13). Just like cherries, strawberries are an excellent snacking delight.You can indulge in a bowl of strawberries any time of the day as the delicious fruit keeps you nourished with significant amounts of vitamins and fiber. They are a rich source of vitamin C, which strengthens the immune system and normalizes blood pressure (14). Rich in manganese and potassium, it builds and strengthens the bones of the growing fetus. Being high in flavonoids strawberries have a strong potential to reduce the risk of cancer. The folate content helps in minimizing the risk of neural tube defects. Watermelon quenches your thirst, while also being a rich source of vital nutrients including vitamin A, C, B6, magnesium, and potassium. It is a significant source of lycopene and citrulline, which are powerful antioxidants. It is loaded with minerals and fiber. Watermelon helps ward off that queasy feeling during morning sickness. In your last trimester, watermelon helps mitigate heartburn, swelling in hands and feet, and muscle cramps, and keeps you hydrated. One cup of blueberries contains 114mg potassium, vital for regulating your blood pressure and preventing preeclampsia. They are low in calories, high in vitamin C, and thus helpful during pregnancy. The antioxidants protect the mother-to-be from oxidative stress and improve cognitive functioning of the brain. The best way to consume blueberries is to add them to breakfast such as corn flakes and other cereals (15). Excessive consumption of blueberries should be avoided. One should only choose organic varieties to avoid pesticides. Composed of soft and easily digestible pulp, chikoo is rich in nutrients. It is full of electrolytes, vitamin A, carbohydrates, and energy, perfect for lactating mothers as well. It not only helps you cope with dizziness and nausea but also prevents conditions such as irritable bowel syndrome. The fruit also helps fight stomach related disorders such as diarrhea and dysentery (16). They are a rich source of folate, vitamin C, B6, potassium, and magnesium. The folate present in banana performs the very importan job of protecting the fetus from neural tube defects. Vitamin B6 helps regulate sodium levels and control nausea and vomiting. The rich magnesium content in banana helps restore a healthy fluid balance. Potassium protects you from the possible attack of stroke or any other pregnancy-related complications (17). Doctors usually recommend consuming one banana every day during your first trimester (18). Custard apple is rich in calories, sugars and micro nutrients, which help underweight pregnant women gain the necessary weight. Loaded with vitamins A and C, this fruit is good for the eyes, skin, hair, and body tissues of your growing baby. The tasty seasonal fruit also enhances the cognitive functioning of your child in the prenatal period of development. For expectant mommies, high fiber present in custard apple prevents constipation and eases pain during labor. The rich antioxidants present in this delightful fruit help you stay active and detoxify your body while preparing for childbirth (19). The red, pearly pomegranates are nature’s gift to pregnant women because of their dense nutrients. Pomegranates contain good amounts of energy, calcium, folate, iron, protein, and other nutrients. The fiber content helps ease constipation pain. It is one of the best natural cures for iron deficiency problems. Vitamin K plays a prominent role in strengthening both the mother-to-be and baby’s bones. Drinking pomegranate juice in moderation helps lower the risk of injury to the placenta (20). The sweet and tangy fruits make a right choice for pregnant women. Oranges are rich in vitamin C that aids in digestion, prevents cell damage, and helps the blood absorb iron.They also help you remain hydrated and contribute to the daily fluid intake. 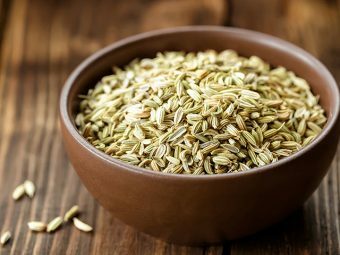 The rich folate reduces the risk of brain and spinal cord defects in babies. Potassium helps prevent high blood pressure during pregnancy (21). Avocados have more folate than any other fruits, and are nutrient dense. They are rich sources of vitamins C, B, K, fiber, choline, magnesium, and potassium. Potassium and magnesium help relieve nausea. Avocados are effective in relieving leg cramps, which are often caused by low potassium and magnesium levels during pregnancy. Choline is essential for brain and nerve development in babies. The healthy monounsaturated fats in the fruit keeps the mother away from heart illnesses (22). Lemons have a refreshing aroma and a pleasant taste. They are known to be highly useful during pregnancy. Lemon juice keeps you hydrated, fights morning sickness, and flushes away toxins from the system. It is rich in vitamin C, which stimulates the digestive system and treats constipation. They are a good source of potassium, and hence are beneficial in the maintenance of normal blood pressure. It prevents common infections and improves your body’s natural defense mechanism.Lemons are a great source of magnesium and calcium, which improves bone development in the mother and the baby. Lemon water works as a diuretic and beneficial in kidney functioning. It also prevents urogenital infections in pregnant women (23). Also known as muskmelon, sweet melon, or rock melon, cantaloupe contains essential nutrients required for pregnancy. These are high in beta carotene which gets converted to vitamin A in the body. They help in maintaining good vision and thick healthy hair. Cantaloupes are a rich source of fiber and water content, which helps to relieve constipation. Vitamin C boost the immune system of both the mother-to-be and the baby. It is also a good source of folate (24). The B complex vitamins present in cantaloupes reduces morning sickness and prevents heartburn.Potassium is ideal for regulating the fluctuating blood pressure. Iron helps in the production of hemoglobin and prevents anemia (25). Grapefruit is a delicious citrus fruit with a tangy and sweet flavor. Its high in fiber content which makes it an effective laxative and eases bowel movements during pregnancy. Sufficient vitamin C wards off cold infection, reduces water retention, and also keeps your skin supple as it promotes collagen production. Eating the fruit before going to bed helps you relax and get a good night’s sleep. It can decrease the chances of nausea and vomiting, which is a common issue in early pregnancy. 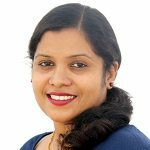 The significant amounts of folic acid reduce the chances of neural tube defects in babies. Grapefruit juice should be avoided if you are taking medications. It might lead to nutrient-drug interactions if consumed with certain medications like pain killers, cholesterol lowering medicines, blood pressure controlling medicines, antidepressants etc. So it is best to avoid eating grapefruit, or consuming its juice. 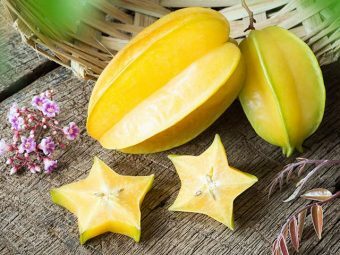 This is another sweet and pulpy fruit, which can be consumed in fresh, raw, or dried forms. Persimmons are rich in calcium and phosphorus, which help in the growth and development of the baby’s bones. Carotene and vitamin A strengthen your heart muscles, eyesight, and vitamin C enhances immunity. The magnesium content helps lower blood pressure and is therefore effective in treating hypertension. Vitamin C fights insomnia, stress, and alleviates cold. The antioxidant content helps detox the body and liver, and neutralizes free radicals (26). The delicious and edible raspberries are full of nutrients. Red raspberries, especially the leaf extract, help ease labor pain due to its uterine stimulating actions and relaxant properties (27). The high amount of folate prevents the risk of neural tube defects in babies. The dietary fiber and manganese promote digestion and prevent the risk of digestive disorders. They are a rich source of ellagic acid (phytonutrient) and antioxidants that lower the risk of cancer in pregnant women (28). Raspberries boost hemoglobin and protect mothers from anemia and fatigue. Blackberries have a unique taste and this is probably why women crave for the fruit during pregnancy. They are a rich source of energy and antioxidants. Having 15-16 blackberries will give you 7 grams of dietary fiber. Fiber contributes to overall digestive health and prevents constipation. It is a good source of folate which is important for preventing birth defects and lowering the chances of miscarriage. Calcium, potassium, and magnesium present in blackberries promote the proper growth and development of bones in the fetus. Anthocyanins and flavonols in blackberries protect pregnant women from heart-related ailments (29). Our list gives a thorough idea of all the fruits to be eaten during pregnancy. But are all fruits safe during pregnancy? Fruits are good to consume unless you have them in excess. Consumption of grapes and pineapples in high amounts is dangerous. Raw and unripe papaya contains latex substance, which could cause uterine contractions leading to a miscarriage (30). How Much Fruits Should You Eat During Pregnancy? You should be eating three servings of fruit a day (31). Before you choose to eat or cook fresh fruits and vegetables, you should follow some safety tips to stay healthy and avoid any infections or illnesses. Opt for organic fruits to reduce the risk of consuming chemicals and pesticide residue. Wash them under running water thoroughly. Use a scrub brush to remove the bruised areas, which may be prone to microbes. Avoid eating pre-cut fruits. Cut them just before you eat. Avoid soaking fresh fruits in water for a long time. If you are not in the habit of eating fruits, then read on as we make it easy for you to add them in your daily diet. Here are some ideas to add fruits to your meals and snacks. Add some fresh or dried fruits to your usual eating cereal. For instance, combine muesli with chopped apple, banana, and dates. Use mashed bananas instead of jam on bread. Have pure and unsweetened orange juice. Bake an apple and sprinkle it with raisins and cinnamon. Have dried fruits such as apricots, cranberries, and blueberries. Make a smoothie using natural yogurt and a handful of raspberries and blueberries. You might have now understood the benefits of fruits for the mother and the baby. You can include a variety of them in your regular diet. A healthy diet means a healthy baby and a healthy you. If you have any more fruits to add to the list, write to us in the comments section below. And, enjoy the excellent period of pregnancy with your favorite fruits. Is It Safe To Eat Pumpkin During Pregnancy? Is It Safe To Eat Sprouts During Pregnancy?